All 3 of Sherels' PR TDs have come on the road - at Detroit (9/30/12), at NYG (10/21/13) and at Chicago (11/1/15). 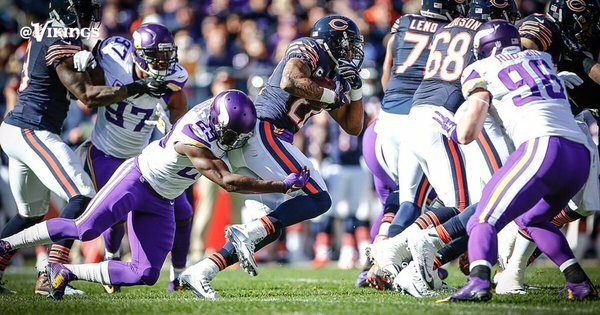 Sherels' career PR average bumps up to 10.7, which is the most in franchise history. Sherels' 65-yard PR is the 2nd longest against the Bears in the 109th meeting between the two teams. Hugh McElhenny - 81 yards on 12/17/61. Boo birds briefly out at Soldier Field after the third failed WR screen sends the punter out.
.@terencenewman makes the 3rd down tackle and CHI is forced to punt. Newman with a heck of a play in the flat to sniff out that third-down WR screen. Vikings get the ball back. 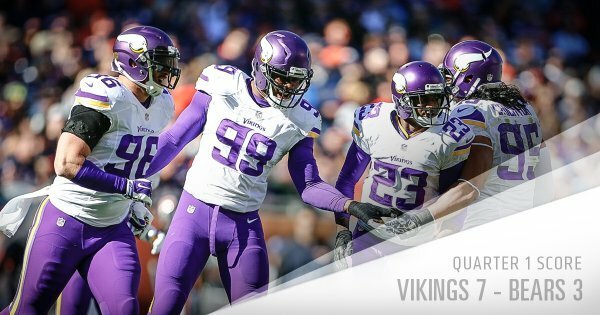 7-3 #Vikings lead at the end of the 1st quarter. Did I just see a Viking player actually squeezing and drinking from a Gatorade bottle all by himself? 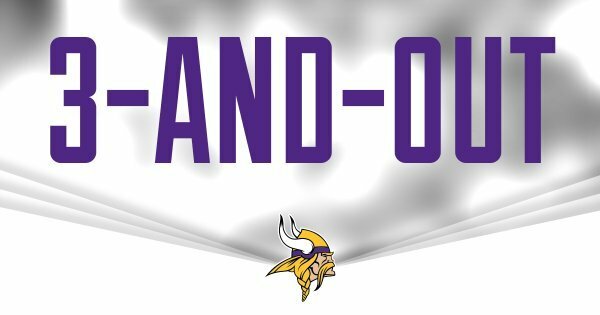 Matt Asiata picks up 12 on the third-and-11 pass from @teddyb_h2o . First down #Vikings ! Peterson finding some holes at the line today. New trick? 10 carries for 57 yards for @AdrianPeterson with 10:28 in the 2nd quarter. 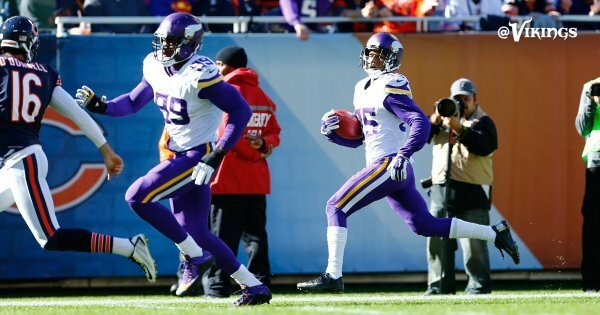 Vikings kick a 43-yd FG. 9:05 left in the half.
.@BlairWalsh3 connects on a 43-yard FG, his 11th straight make. He is now 102-for-120 in his career. I was far more confident about that field-goal attempt by Blair Walsh than I was on his extra-point attempt. 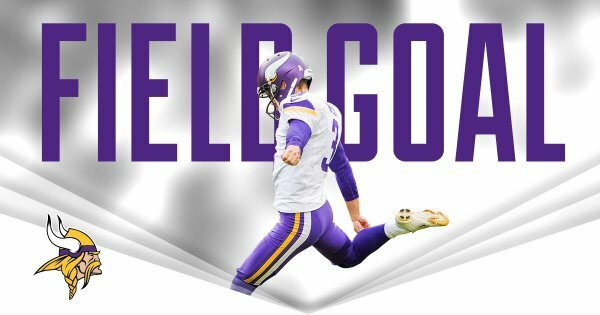 Blair Walsh converts his 11th straight field goal, this one from 43 yards to put #Vikings up 10-3.
.@BlairWalsh3 is now 15-of-17 on FGs this season. Boy, targeting wide receivers in the flat is just not there for the Bears today. Vikings doing a good job of taking that away. #Bears went back to screen for fourth time by second quarter, because it worked so well the first three times. Jay Cutler is 6 of 7 for 18 yards, #Vikings haven't allowed a third-down conversion on four tries so far. Peterson trips over the wavy yard line. Bears say thank you, get off the field. 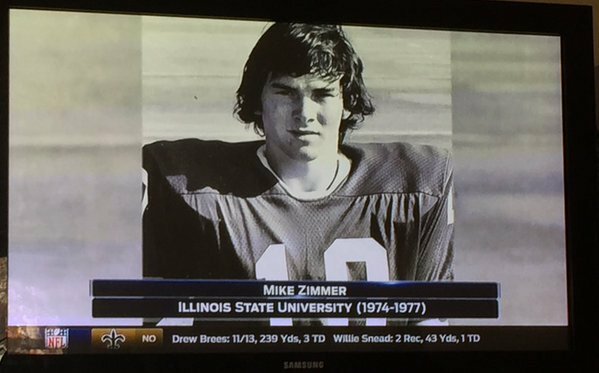 The noted great turf at Soldier Field got Peterson on that third down. He went to plant and his foot gave way. The #Bears ran another screen on third down, and failed to convert another third down. #Vikings holding them to 0 of 5 so far.